There are currently 25,155 users on this website. 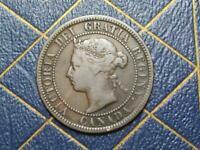 1891 Ld With Repunched N? 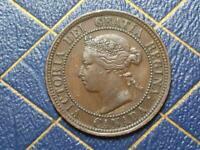 Congrats .. a very tough coin to find and much scarcer than the 1892 Obv 2 R/E N.
Nice one gidjit! The die crack at N of CANADA is a good marker for the late state of that die. Can someone tell me what I'm looking for here? I can't see a repunched? The left lower foot of the serif on the N in Regina was broken off the hub (that makes/punches the working dies). On 2 of the working dies for the '81 LD/LL Obv 2's, the mintmaster had them repunch the N so that there was a full foot serif. The Obv dies for '91 probably struck about 50-60,000 coins, so any you find are pretty scarce. The same thing holds true for 1892, where 3 of the working dies were also handpunched to make a full-footed N.
That's really interesting, I notice in world coins and US, these sorts of varieties mean very little value wise. What sort of value may I ask would be attributed to this sort of coin or is it more of an interest in following die states? 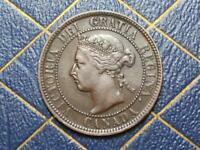 It is a variety, not an error and they are, at least for 19th century coinage, quite well sought after here in Canada. Some of the scarcer ones may have a 40-50X premium on them, especially early large cents, particularly the 1858's and '59's. You can have a relatively normal coin that is $5 in VF-20 and the variety makes it a $250 coin. The reverse dies had a very short striking life, some maybe only 5,000 coins or less, and all the working dies had handpunched corrections made to them, resulting in large offset doubling, especially on the dates. Easily seen repunches on the Obverse, where a chipped/broken hub fails to make a good working die will usually have a premium of 10X or less. As for die states, very little premium ever occurs and probably reduces, rather than increase, the price. Die cracks, unless spectacular mean nothing, except to a true die tracker. That's quite interesting I would have thought each die would struck maybe 50-100k - was 5000 strikes what most mints were getting at the time? Did the thinness of the blank have a negative effect on the earlier dies? 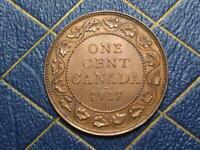 Yes, the thinness of the new Canadian cent caused all kinds of problems for the London mint. 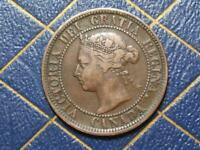 They used the same presses, pressures, and mechanics that they used for the Brit halfpennies. 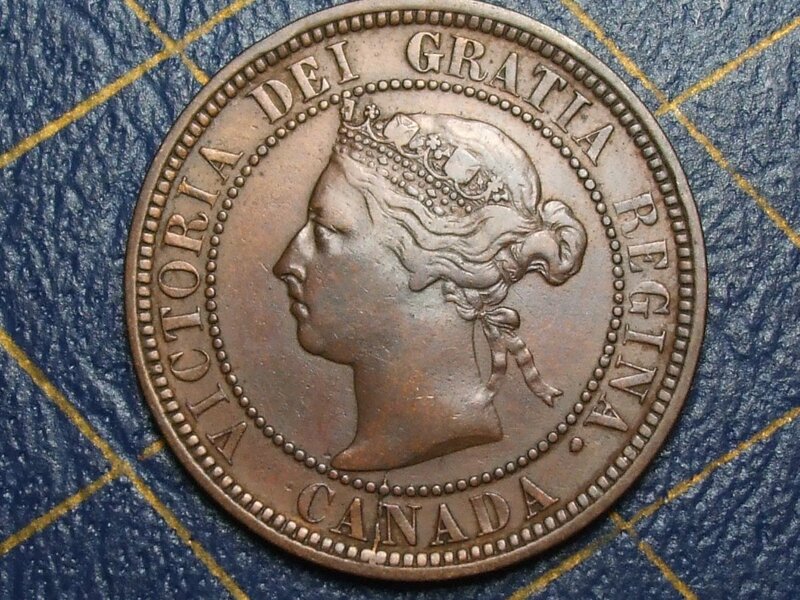 The halfpenny was all copper and the Canadian cent was bronze, a harder metal that ate up the dies when used on the thinner material. You were striking a 1/3 thinner planchet (less metal to absorb the whack), through a harder planchet and with a much more intricate design, especially on the Reverse. Each leaf tip, serif, denticle and bead is an incuse (recessed) part of the die and they form a stress concentration point ... and that's where the cracks start. 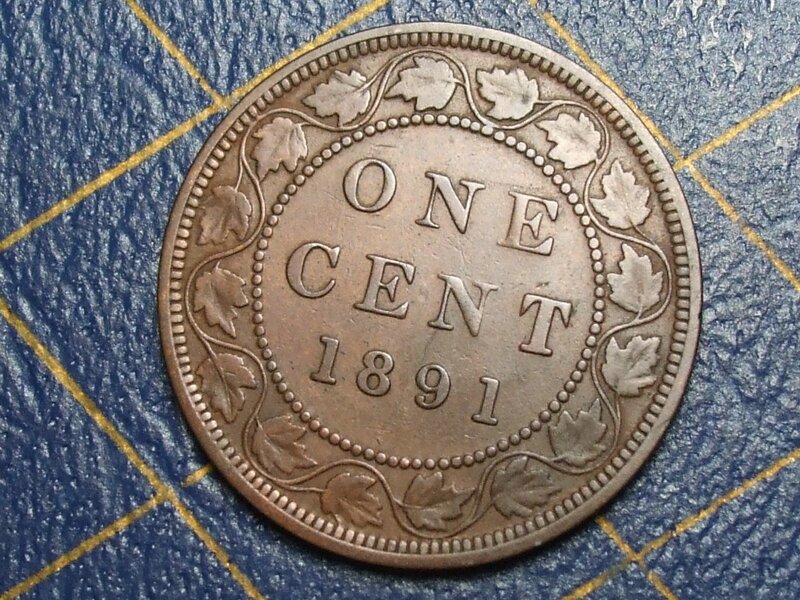 Just look at a large cent and see how much/many recessed area that there would be on a working die and how narrow the fields would be between the denticles, beads and serif to denticle distance. Thanks a lot very informative, yes I suppose the depth and detail is quite intricate compared to other coins of the time. That's really interesting thank you for that!